Hoses, Monroe, NC | Hoser, Inc. Hoses, Monroe, NC | Hoser, Inc.
We offer high-quality products, including OEM, bulk, and custom hoses. Have you done your routine maintenance check and noticed that some of your hoses are looking worse for wear? At Hoser, Inc., we always recommend making hose checks part of your maintenance list, so you can avoid last-minute issues related to leaks or breakage of your hose assembly. We also recommend calling us when you need replacement parts and hoses for your assembly, so you can keep your operations going smoothly. We offer high-quality products for our customers, including OEM, bulk, and custom hoses for virtually any application and requirement. We can outfit both industrial and hydraulic hose assemblies, as well as provide the parts needed to keep your assemblies working their best. Something that sets us apart from the competition at Hoser, Inc. is that we can provide mobile response services when you experience a breakdown in your hoses unexpectedly. Rather than stopping operations while you hunt for the correct hose assembly to get going again, we’ll bring the proper parts and services to you, so you can get going again as quickly as possible. Time lost is money lost, and we’ll do what we can to ensure your hoses aren’t a part of the problem. Don’t let a hose failure cost you a day’s work. If you’re looking for top-quality industrial and hydraulic hose assemblies for your operation in Monroe, North Carolina, then make Hoser, Inc. your go-to resource for hoses, hose assemblies, and hose accessories. With more than 50 years of experience assisting our customers, we look forward to providing the parts and services you need. Call today for a quote. Check your hoses periodically to detect signs of hose deterioration or loss of performance. Identifying these signs beforehand can prevent conditions leading to malfunction or failure. Know when your hoses are reaching a point of failure – while sturdy, certain hoses need to be replaced with regularity. While in service, do not subject your hoses to any kind of abuse. For example, never drag your hoses over abrasive surfaces, unless they were specifically designed for this purpose. Take care to prevent your hoses from severe end loads that they were not designed to handle. 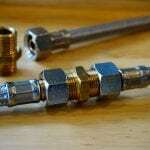 You should always operate your hoses below their intended working pressure. If put under high loads, increase the pressure in your hoses gradually to avoid extreme surge pressures. Be careful not to kink your hoses or run over them with large equipment. When handling large hoses, always use dollies, handling rigs, or slings to move them from one area to another. If you ever have questions about taking better care of your hoses, we’re always happy to help. Feel free to reach out to us for care and maintenance questions. And, if your hoses ever need replacement because of general wear and tear, we are the best place to turn to! At Hoser, Inc., we offer hoses to customers in Monroe and Charlotte, North Carolina, as well as Greenville and Spartanburg, South Carolina.